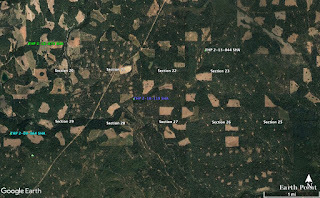 THPBlog: Sierra Pacific Industries to clearcut log trees over 40" DBH west of Lassen Volcanic National Park. Sierra Pacific Industries to clearcut log trees over 40" DBH west of Lassen Volcanic National Park. This THP is about 14 miles SW of Burney, CA and about 8 miles west of Lassen Volcanic National Park at an elevation of 4,800 to 5,600 feet. Sierra Pacific Industries is planning a clearcut tractor based logging operation in ponderosa pine, sugar pine, Douglas fir, incense cedar and white fir forests. There is an osprey nest along Hunt Creek within 510 feet of unit 29B in section 29. Upswept moonwort was found near unit 21D and 21E, scalloped moonwort was found in unit 21E, and least moonwort was found in the grassy edge of unit 28D. 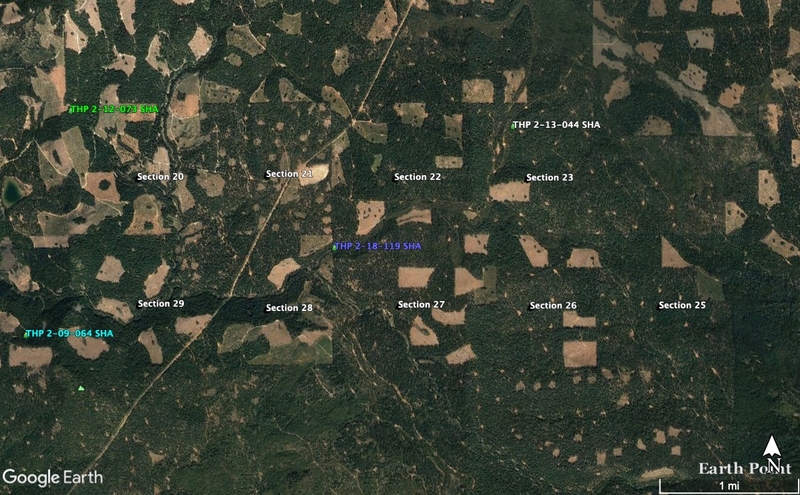 There is a CA spotted owl nesting territory along the northern edge of unit 25A.